Cirque du Surplus. Help create the biggest fruit salad Leytonstone has ever seen! Thought provoking street theatre about the journey our food takes from anti food waste campaign This is Rubbish. Children’s Area. Mini produce show judges are invited to sample, test and play in our kitchen laboratory with Secret Seed Society. Sowing Seeds with OrganicLea. Learn what to grow over the winter and sow seeds to take home for a fresh supply of greens! Plus, seed bomb making for children. varieties from all over the globe, grown by Waltham Forest community gardening groups taking part in the Cultivate Chilli challenge. A feast for chilli enthusiasts – pick up some recipes and growing tips. Growing Exotic Vegetables. Know your oca from your yacon? This is an open space for growers interested in ‘exotic’ vegetables to come and share tips, show off their successes, or simply find out more! 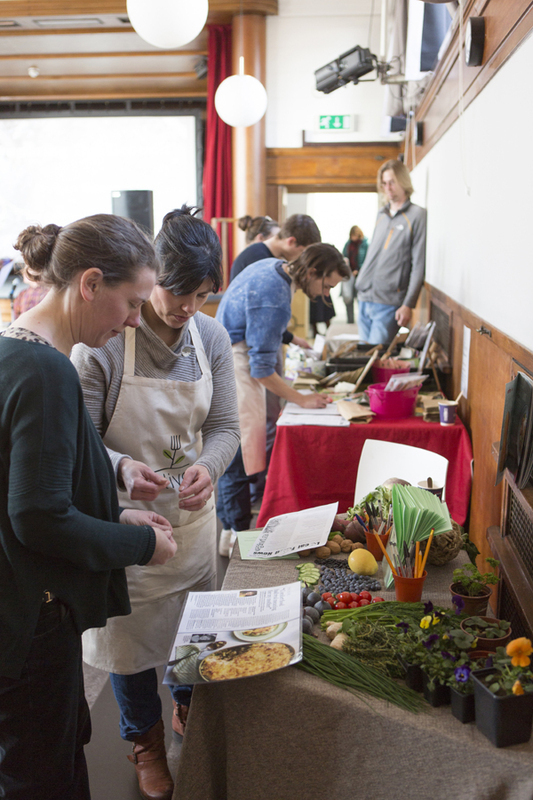 Leytonstone Food Assembly. Playful interactive games examining the food chain and information on shopping local. Seed Packet Project. With artist Rosalind Fowler. Gardeners of Waltham Forest – share your dreams and visions for an imaginary future London. BRING ALONG YOUR EMPTY SEED PACKS! Harvest Festival Collection for Sally’s Kitchen & Leytonstone Food Bank – Please bring any donations along. 4.30pm Help create the biggest fruit salad Leytonstone has ever seen!